Big shocker. I love food SO much, that I buy food JUST because it looks good. First rhubarb of the season has arrived? It goes in the basket. Beautiful baby squash? In the basket. Once the food porning begins, the carefully crafted shopping list becomes irrelevant. Caution is thrown to the wind, and my eyes become bigger than my stomach. Like I said, I LOVE food. But there is a downside. It’s all well and good to buy beautiful in-season fruits and vegetables, but what happens when you don’t use them. 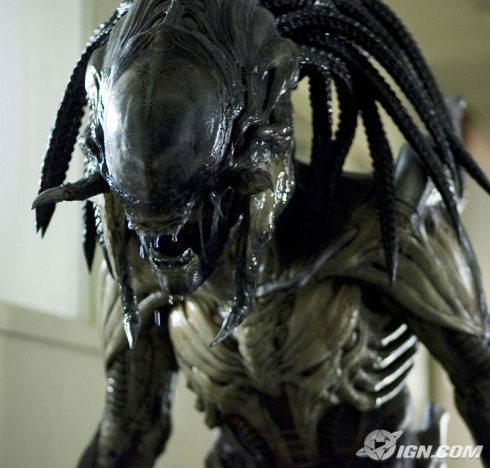 The crisper quickly becomes a horror movie akin to Aliens. Believe me, you don’t want to confront an idle strawberry. It’s not pretty. But there are simple ways to avoid being accosted by gooey lettuce. And it’s not gorging on everything the second you get home from the market. It’s all about how you store the food. Each vegetable is different from the next. Potatoes actually emit an odor that makes other produce near it go bad even faster. Naughty potatoes. But don’t get overwhelmed. I’ve put together a brief guide to storing your food. It’s not rocket science, and will extend the life of your food, reduce waste and get you preparing dinner faster. No kidding. For lettuces, remove the leaves and dispose of the core. 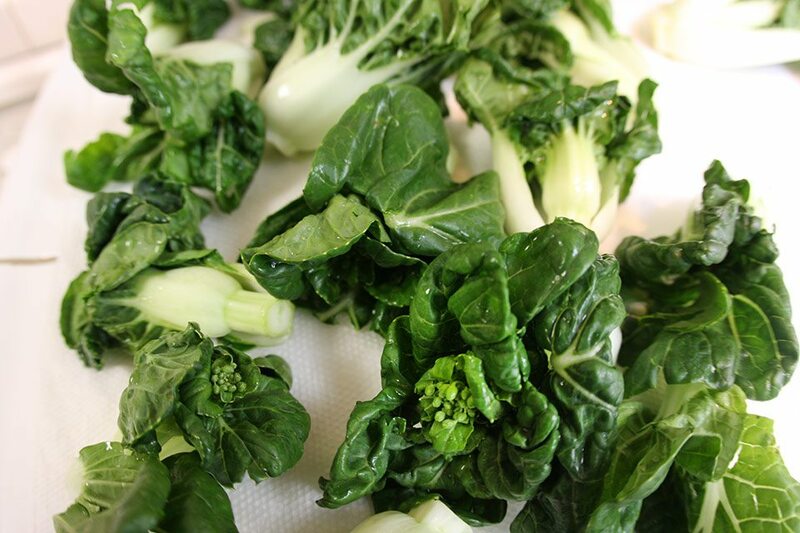 For bok choy, cabbages or chards, leave them whole. When you bring home the greens, plop them in a bowl of cold water and swish for 1m. Spinach is a particularly dirty green. Let it soak for at least 5m. Remove the greens and pat dry with a paper towel (or use a trusted salad spinner). Lay the greens in one even layer on paper towels. Roll up the paper towel with the greens and store in a plastic grocery bag, or a plastic storage bags with holes poked in them. This will help the air circulate, preventing condensation and thus the dreaded goo. The greens will keep for at least 5-6 days. The best part: your greens are cleaned and ready to go for when you need them. Berries are probably one of the hardest to keep, and as a result, the most thrown out. Tragic. But there are actually a few different ways to extend their life. For starters, remove all of the bruised berries. They are doomed when it comes to storage, so have a nice treat! Next, only wash the berries unless you plan to eat them right away as moisture will expedite their expiration. Place two layers of damp paper towels on the bottom of a roasting or casserole pan. 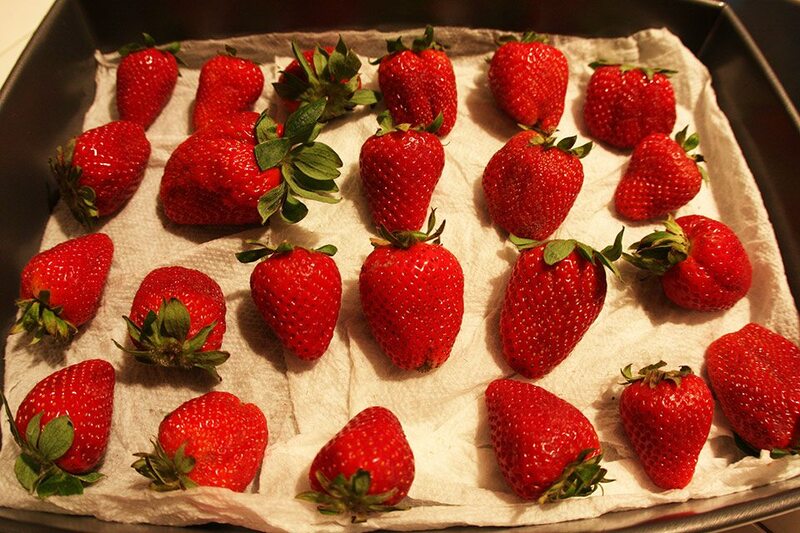 Place strawberries on top of the paper towels in one layer with at least an inch of space in between each berry. Place another two layers of damp towels on top of the berries. Store in fridge. If you notice the top towel getting dry, rewet it. Berries will keep at least 5 days, probably more, with ZERO reduction in quality. This is my favorite way. Rinse the berries and pat dry. Place berries on a parchment-lined baking sheet spaced at least one inch apart. Leave uncovered and freeze for 24 hours. Then consolidate your berries into a plastic storage bag or tupperware until ready to use. This is a great way to store seasonal sweet berries for those depressing times when they aren’t in season. Let me just say that if you store your tomatoes in the fridge, STOP THAT NOW! 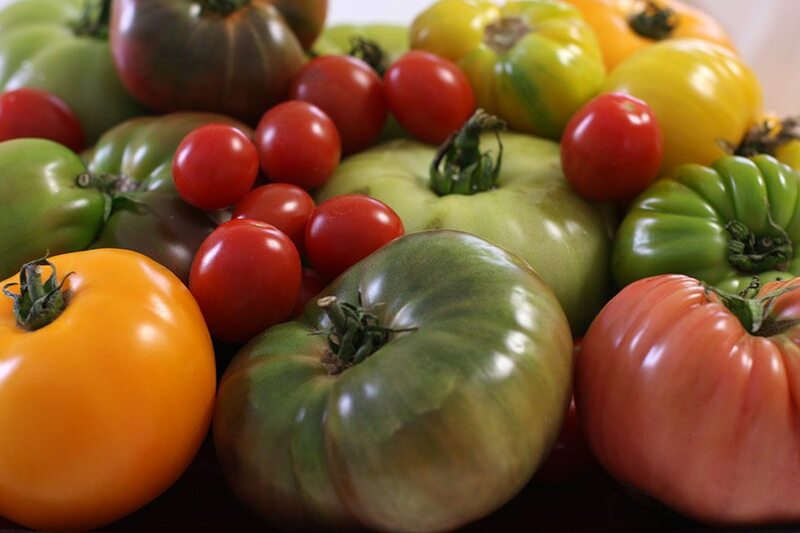 Storing tomatoes at a too cold of a temp destroys the flavor of the tomato. Store unwashed, at room temp until you cut them. If the tomatoes are in desperate need of some ripening, store in a paper bag for a day or two until ripened. The ‘paper bag trick’ also works with avocados and peaches. And there you have it. Stay tuned for the next episodes where we’ll cover other types of veggies and fruit including onions, herbs, and carrots and so much more. Get the Nomad feed and don’t miss another post.